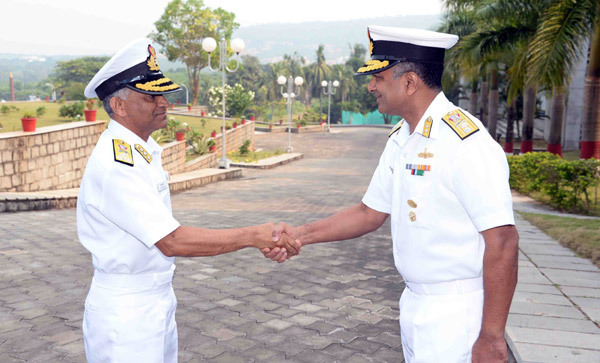 October 20, 2016: Vice Admiral SV Bhokare, YSM, NM took over charge as the Commandant of Indian Naval Academy (INA), Ezhimala, today 20 October 2016. 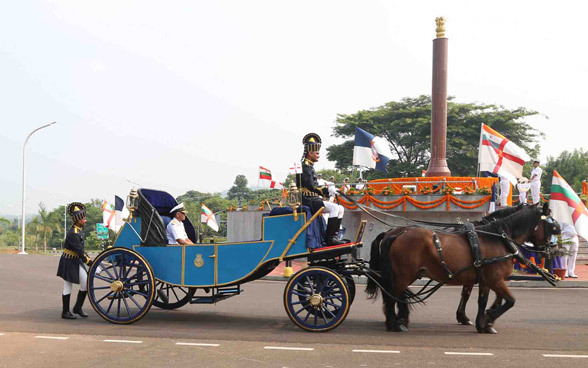 An impressive ceremonial guard of honour was presented on the occasion. 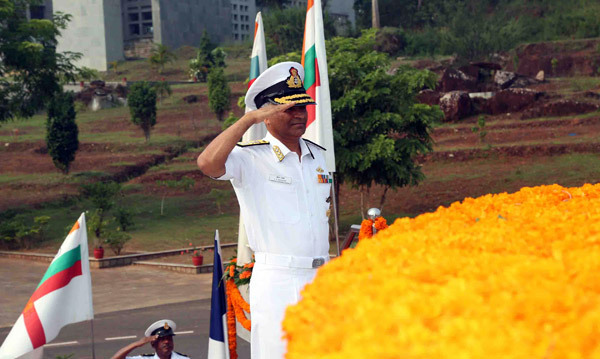 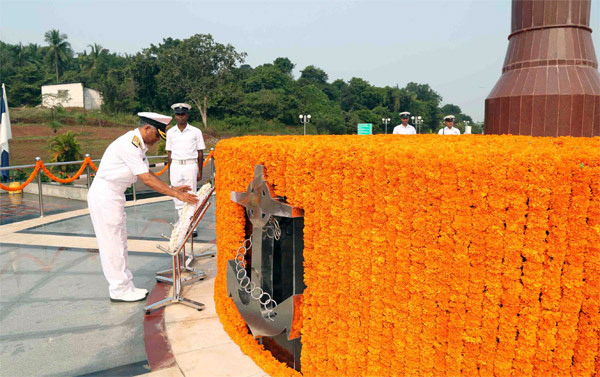 Earlier in the day Vice Admiral SV Bhokare, YSM, NM paid homage at INA war memorial ‘Prerna Sthal’ by placing a wreath prior to assuming command. 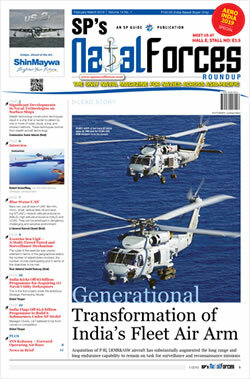 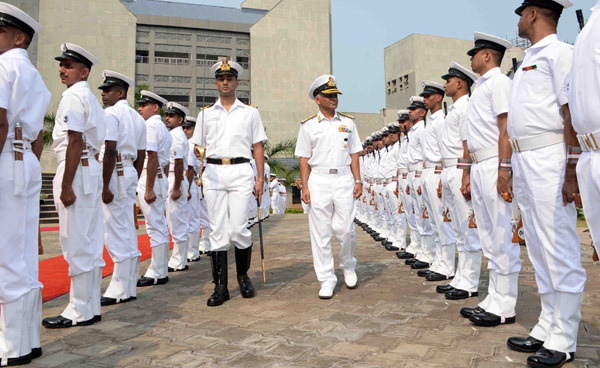 The officer belongs to the elite submarine arm of the Indian Navy. 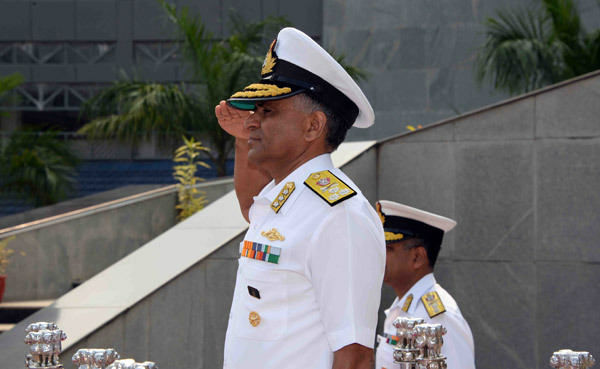 In his illustrious career spanning 32 years, he commanded three frontline Submarines, INS Sindhughosh, Sindhudhvaj and Sindhushastra, as well as Guided Missile Frigate INS Beas and Submarine base INS Vajrabahu. 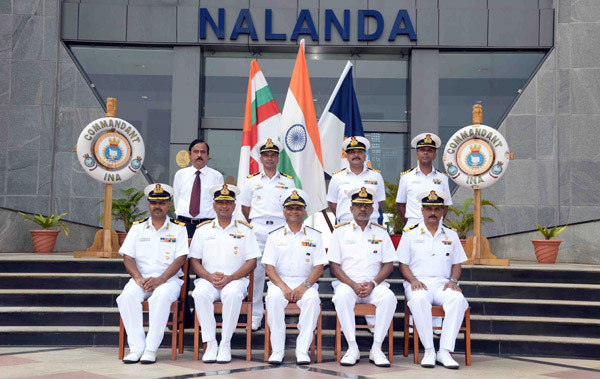 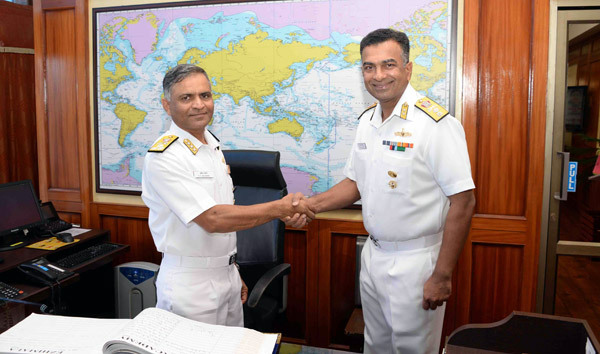 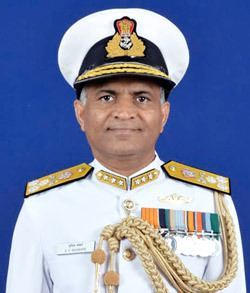 He has also held various prestigious staff and operational appointments including Command of Submarine Squadron as Commodore Commanding Submarines (West) and Chief Staff Officer (Operations) at Eastern Naval Command. 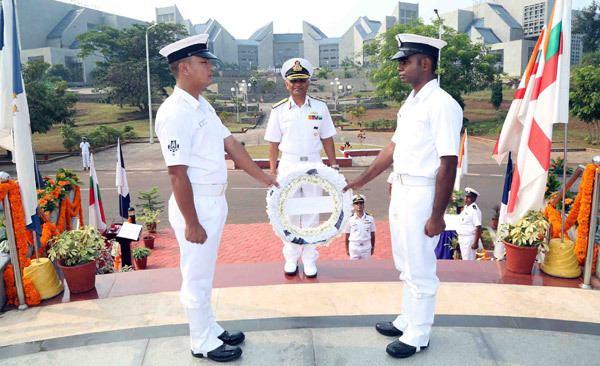 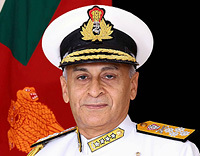 On being promoted to the rank of Rear Admiral, the officer was appointed as Flag Officer Submarines (FOSM) from Sep 2012 for three years and Flag Officer Commanding Eastern Fleet (FOCEF) from 2015 onwards. 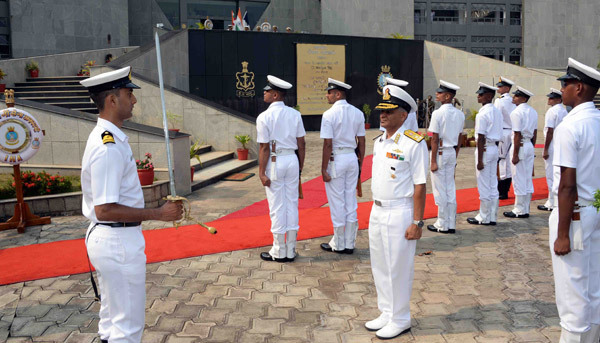 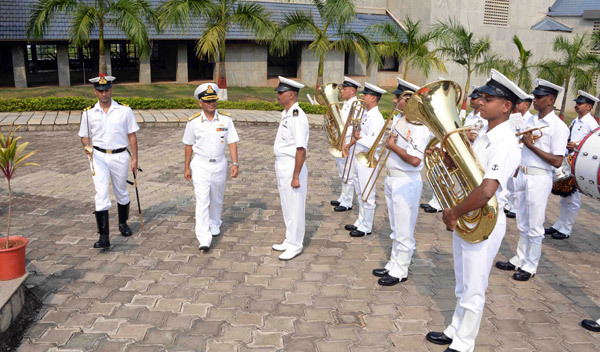 Vice Admiral SV Bhokare, YSM, NM, Commandant, Indian Naval Academy arriving at INA war memorial ‘Prerna Sthal’ for wreath laying prior to assuming command.